Deborah Haywood’s formidable first feature is at once a ruthless dissection of cruelty, capturing the relentless torment of outcasts for the pleasure of self-styled superiors, and a warm evocation of an interdependent mother-daughter bond. 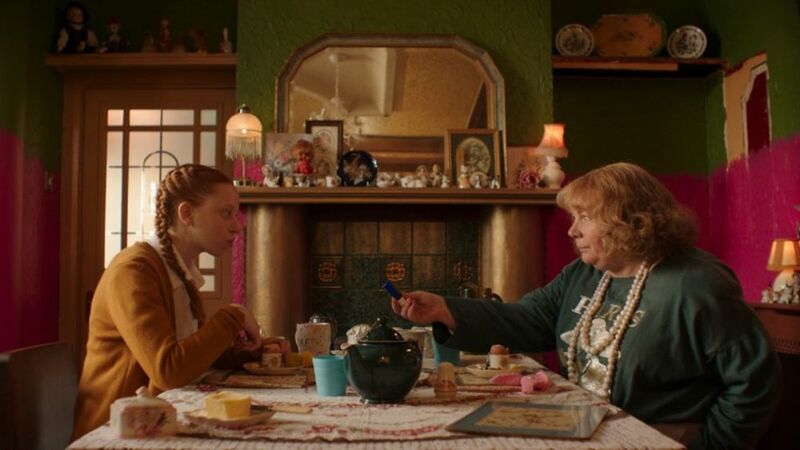 Pin Cushion has the visual cues of comedy, with its candy-colored kitsch and exaggerated signifiers of eccentricity and snobbery, but at heart, it’s a tragedy of naïveté. 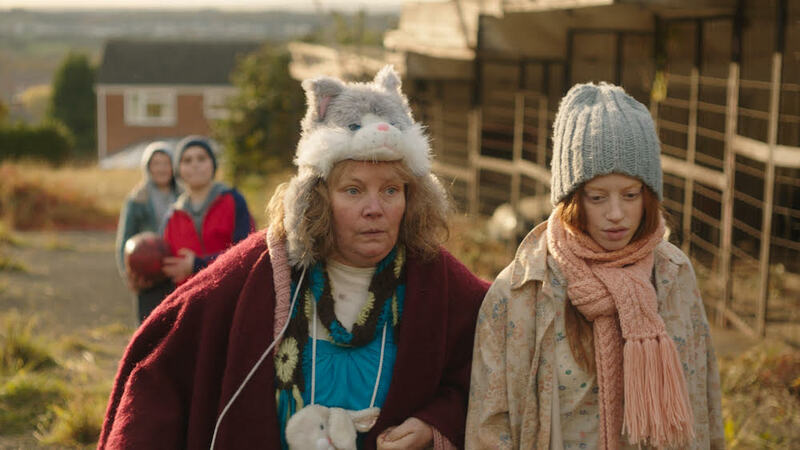 Lyn (Joanna Scanlan) and her teenage daughter, Iona (Lily Newmark), arrive in the Derbyshire town of Swadlincote with giddy enthusiasm, ready for a fresh start. While Lyn nests by filling their flat with familiar bric-a-brac, Iona gushes about the BFFs she’ll soon meet, not realizing that displaying a raw eagerness for peer acceptance makes her catnip for mean girls. Emotional gut punches from her vicious classmates knock smiling, accommodating Iona into a discarded rag doll, even before most have met Lyn, whose physical attributes (a hunchback and shuffling gait) have made her a social pariah. Writer/director Haywood takes a tricky moment – a mother blaming new friends for the daughter’s out-of-the-blue rebellion – and layers in the contradictory impulses of a child seeking release from suffocating coexistence. While she adores and protects Lyn, Iona dreams of a mother who’s confident, not cowering, expressed in the glowing fantasy of a perfect air hostess mum. Iona’s sexual awakening (a scene of unnerving humor involving an electric toothbrush) cracks the foundation of their relationship. The maturing Iona sheds her role as unquestioning companion, and Lyn, blinded by an insecure embrace of restrictive mores, loses sight of her vulnerable daughter’s well-being. All that remains is their ferocious love.